A 1-day workshop developing knowledge, skills and confidence to support librarians when negotiating with publishers and other vendors for electronic resources. Electronic resources continue to bring major change to the provision of teaching and research information, hugely impacting the role and responsibilities of information professionals. The rise of the license, the demise of the ‘list price’, tailored deals, new rights and responsibilities, new users, and new ways of delivering, using and sharing information are all part of the evolving complexity. At the same time, some things have not changed: publishers still seek to maximise usage, market presence and income, whilst libraries and consortia seek to best serve their users within the constraints of rising costs and pressured budgets. In order to navigate these challenges- and make the most of the considerable opportunities - negotiation has become a fundamental part of the content acquisition process. It follows that libraries and consortia need library staff with strong negotiation knowledge and skills, and yet training in this area continues to be neglected by most LIS degrees. This workshop has been created to fill this gap, informing and empowering librarians, growing their confidence and skills, and enabling them to gain the best from every negotiation. I have been delivering this 1-day in-person workshop to library and consortia staff in the UK and Eire (on behalf of UKSG), and continental Europe and the Middle East, since 2008. The workshop has evolved continually and draws on the very latest in negotiation know-how from leading negotiation experts from around the world including many leading librarians. An expert-facilitated online version of the course is also available to meet demand from colleagues who cannot attend the in-person workshop. Click here for more details. Of the 400+ librarians who have taken either the in-person workshop or the online course to date, 100% would recommend them to colleagues. The vast majority rated their learning experience as 'very good' or ‘excellent’. Written at an introductory-intermediate level, the workshop is for those who are: new to negotiations or who have some negotiations experience and are seeking a ‘refresher’ and/or additional tips, skills and knowledge. It will also benefit those being trained to undertake purchasing roles in the future. The course focuses on journals and other serially published content (although much of the learning is transferable to eBook and database acquisition). Although the primary focus of the course is on e-resources acquisition in an academic environment, information/knowledge workers in public libraries and corporations are welcome. Equally, although the course is designed primarily for those new or relatively new to publisher negotiations, more experienced negotiators are welcome. Learn a powerful model for developing your personal resilience, a capacity proven to enhance negotiation abilities and outcomes. For example, colleagues at a library in Eire reported a saving of €5,000 on a single deal within two weeks of taking this course. Whilst such results cannot be guaranteed, this course is expressly designed to build the knowledge, skills and confidence necessary for negotiating cost savings and more equitable and sustainable deals. I deliver Negotiation Skills for Librarians once a year on behalf of UKSG. The 2016 workshop took place in London in May. independently of UKSG, I also deliver this workshop to libraries, groups of libraries and consortia throughout Europe and the Middle East. If this is of interest, please contact me for an informal conversation about your learning and development needs. This workshop is also available as a fully-facilitated six-week online course. To find out when the next course begins, please contact me. If you have any questions about this workshop or any of my coaching and learning services, please get in touch. 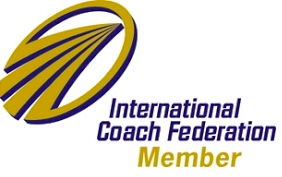 I am an experienced facilitator and ICF-accredited professional coach with a passion for designing and delivering empowered immersive learning which enables people to realise their full potential and engage with their work and wider life with creativity, courage, wisdom and confidence. I have over 25 years’ experience working with libraries, publishers and a wide range of intermediaries in the academic and professional information industry, including significant experience of the change, disruption, challenge and opportunity which characterises this sector. Through Lead From Within I deliver one-to-one and group coaching, training, facilitation and consultancy services. I have worked with a broad range of clients in over 20 countries. In addition to this workshop I also own and facilitate the 1-day in-person resilience-building workshop, Forever Changes and Make Yourself Heard (a 1-day workshop developing confidence in public speaking for new and not-so-new speakers, on behalf of UKSG). I trained with the world’s leading coach training school and continue to learn from thought-leaders in negotiations, mindset, resilience and inner leadership development.